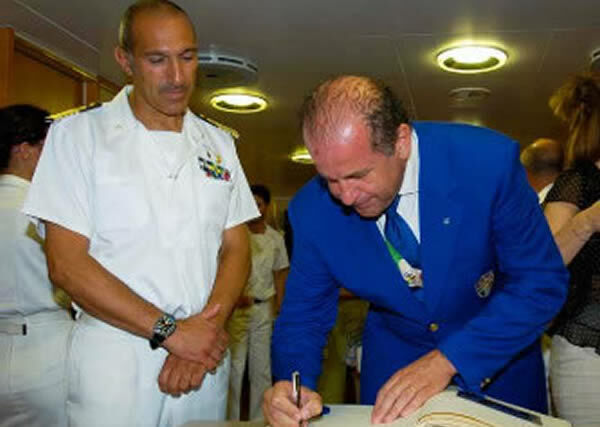 The identification of shooting as a paralympic sport is a typical italian success signed by Luciano Rossi. His vision of this sport is be open to everyone and without any barriers. The paralympic shooting was born in Italy in 2007 as an experimental project. 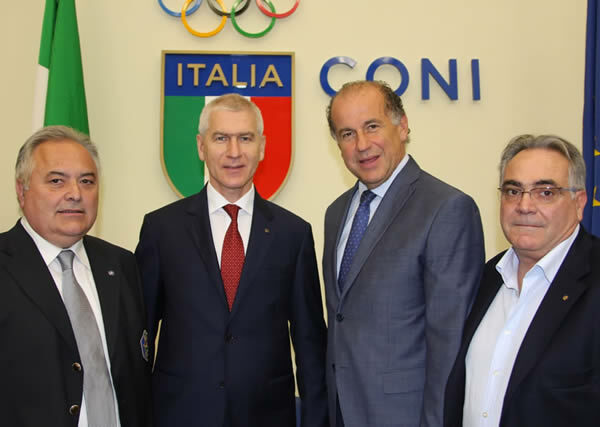 In 2011, Luciano Rossi was authorized by the ISSF to talk with the IPC, International Paralympic Committee, about the recognition of the Paralympic Shooting at an international level. In 2013, FITAV showed to the IPC Shooting a development plan to give to the Paralympic Shooting a worldwide dimension, based on the formulation of functional classifications. In the same year FITAV organizes the Italian Championship and an International Grand Prix at the Umbriaverde TAV in Todi, joined by 19 athletes coming from 3 different countries. In 2014 FITAV, invited by the IPC, joins a representative event in Suhl (Germany) held during the World Championship of the Sports Paralympic Shooting. In this event, FITAV is unanimously supported by the IPC Shooting Sport Forum for the promotion of the Shooting-related project. In September of the same year, FITAV organizes once again at Todi the 4th International Grand Prix of “Para-clay target shooting” exceptionally joined by 52 disabled shooters, coming from 9 different countries, for the first time to the presence of the officials and experts of IPC Shooting. In 2015 the 5th International Grand Prix to the Shooting “Cieli Aperti” of Cologno al Serio (BG) organized by FITAV underlines the eventual confirmation of the international interest towards this sport, witnessed by the 58 participants representing 14 different countries and by the addition of the event in the international calendar of IPC Shooting. During 7 years of research over than 100 disabled shooters coming from 15 countries representatives of all the countries join the research project driven by the FITAV experts, being willingly subjected to advanced test of bio-mechanical, electromiography, cardio-frequency, stabilometric platform and 3D kinematics. The collected data let the creation of a framework to set the basis of the classifications for the “Para Clay Target Shooting”. In April 2016, according to the timeline defined by the IPC Shooting, FITAV sends the full report of the scientific research led by italian experts to Bonn (IPC’s Headquarter). This report proposed the recognition of the Paralympic Shotgun and in 2017 his development project transferred to the responsibility of IPC. The WSPS (formally known as IPC Shooting) names the “Para Trap Development Group”, a committee composed by the experts of IPC and FITAV. This Committe has to led the project to the final step of inclusion of the Para Trap into the Paralympic Program. FITAV worked hard on the research and in July 2017 the WSPS published the technical and classification’s rules and, for the first time ever, introduced the Para Trap in the Paralympic Shooting sports. 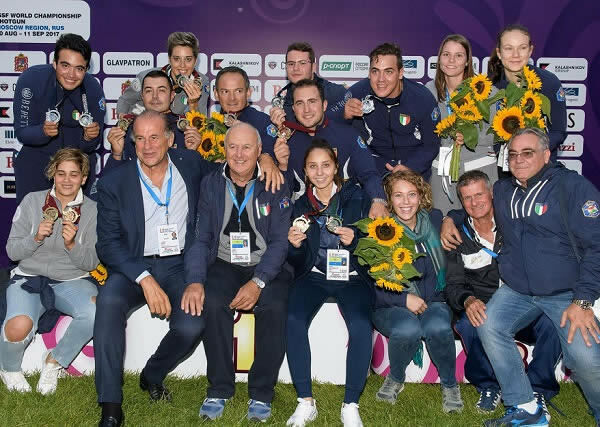 The first World Championship WSPS Para Trap, set in 2017 in Lonato, gained an unexpected success. This helped the WSPS to be fully convinced about the huge potential of this sport. The 2018 will be the year of the first historical WSPS Para Trap World Championship that should break all the records in terms of attendance. The hosting city (in the first weekend of October) will be Lonato (Italy) again, one of the best Shooting ranges in the world.